There are very few things that I can think of that are more thrilling than watching a wild animal hunt and kill another wild animal. I wouldn’t categorize myself as some sort of violence junky, nor am I a hunter. In fact I’ve never hunted. I’m also not on the other end of the spectrum, i.e. PETA. However, something about watching the natural world at work is simply awesome, particularly the cruel food chain part of the natural world. I am a big fan of BBC’s Planet Earth series, and I didn’t think twice when we were offered the chance to go with some lions on an actual hunt. How is it possible to go hunting WITH a lion? The actual fact that it is possible to accompany lions on a hunt was something new to me as of last week. 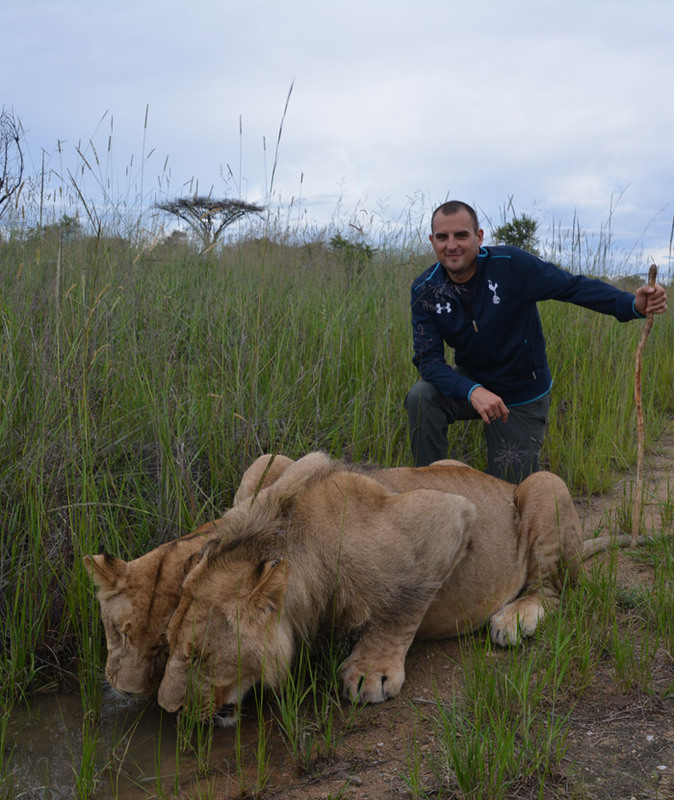 I made a statement at the beginning of our trip that one of my goals in Africa was to see a lion kill some prey. However, I made the statement in more of a far-fetched, in my dreams type way. When we arrived at Antelope Park in Zimbabwe, I was completely unaware about what this place is and what it does. The name is a little misleading, as Antelope Park has little to do with Antelopes. The name comes from what the park was when it was purchased by its current owners. The park is now a cutting-edge lion conservation program that is developing a new way of introducing lions into the wild. It is a four stage program in which each stage features a new generation of lions that has less human interaction with the previous stage, until they are left with a generation of lions that has had no contact with humans. Those lions, and only those lions that have never interacted with humans, are suitable for a wild release. The photo above are some stage one lions that I got to hang out with on a walk, and last night’s hunt chronicled below was also with some stage one lions. I touched on more of the details of the program, including what I like about it as well as some of the criticisms, in another article here. For now, I want to focus on last night. One of the best nights of this trip and probably the most intense night of my life. The group heading out at for a night hunt as part of the pride. 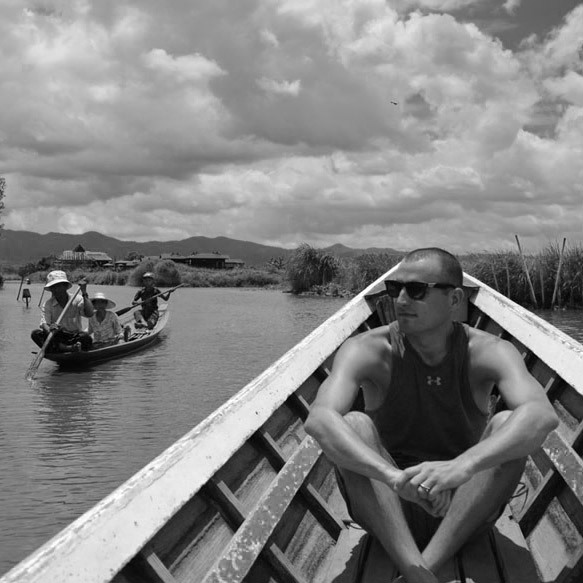 Our group consists of ten visitors like me (all from Oasis Overland) and eight employees of the park. It seems odd to have such a high group of employees but there is a good reason for that. 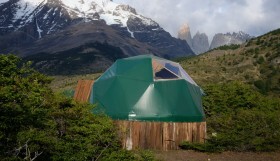 There are parts of this park that are mostly tourist attractions. This is not one of them. 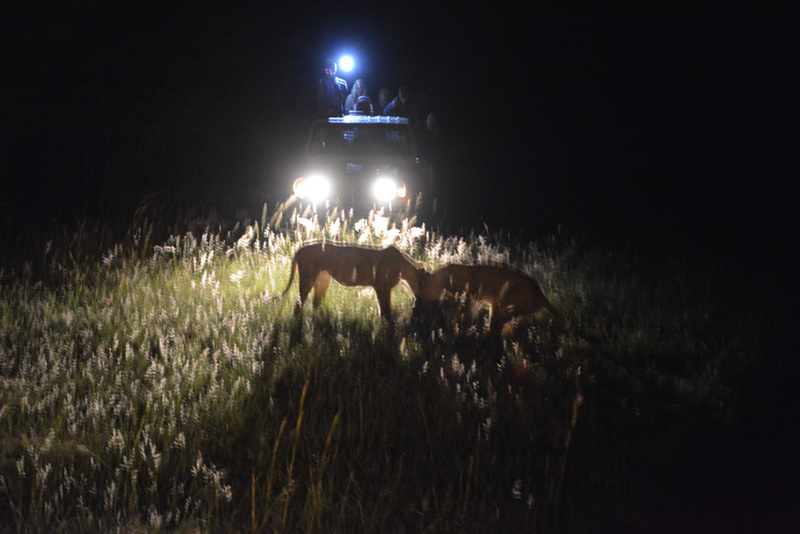 It is called the Night Encounter, which sounds touristy, but it is an activity that is part of the release program, and is done for the lions’ behalf, not ours. 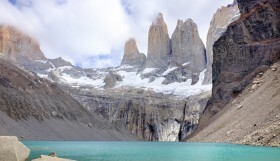 The activity is done regularly whether or not tourists are there to go along or not. These eight employees are here to help the lions, with the job of keeping tourists happy a distant second in priority. To me that is a sign that what we are witnessing is real, and truly something special. Thuli and Thembile: Our hunters tonight. 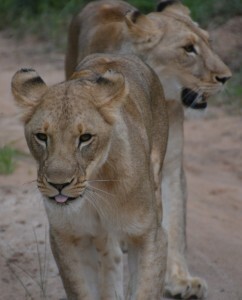 Our caravan of two pick-up trucks heads out at dusk and picks up two 24-month-old lionesses on the way. Their names are Thuli and Thembile, and they are stage one lions, which means they have grown up in captivity with human contact, spending around five hours a day with a human. 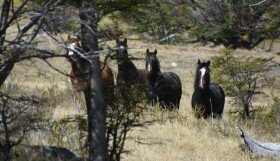 They are still wild animals, and unpredictable, but they have come to know the humans here as part of the pride. In fact, on hunts like tonight, they consider each person on the truck to actually be a part of their pride. Wherever our truck goes, they stay right with us, as they consider the adults on the truck not only as part of the pride but as more dominant members of the pride. Our driver Dan is a veteran of this park and is one of the most knowledgable people about both this program and lion wild release in general. 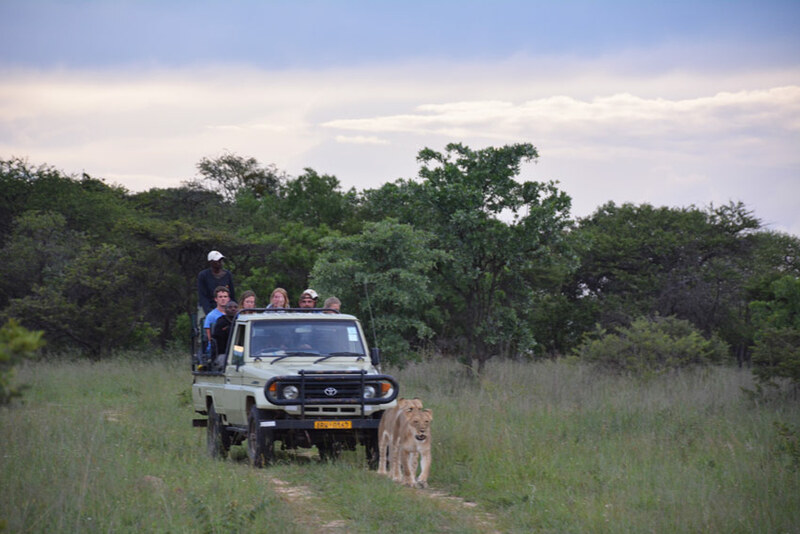 You can see the unique relationship Dan and the other guides have with these lions as we move along slowly in the truck. It almost feels like these two lions are their babies, and as Dan drives the truck through the bush he explains how the relationship between the lions and us will work tonight. The guides on our truck will be doing their best to spot any wildlife nearby and try and guide the trucks close to the prey. The lions however have an exponentially better sense of smell than us, and much better vision at night. So it really will be their job to find dinner, whereas we will do our best to help get them in the general vicinity using a red spotlight. Remember, they think we are part of the pride, so in a way they think we are teaching them to hunt. These two lions have never killed anything bigger than a rabbit, but tonight we are all feeling optimistic. Searching for possible prey using our red spotlights. Right before it gets dark, we notice a group of wildebeest nearby. Everyone in the group goes silent and we guide the lions just close enough for them to pick up the scent, then we turn the engines off and watch. Once the lions pick up the scent, the help from the trucks stops. It is important that Dan and his team do not give these lions any advantage over their prey. They need to learn to hunt and kill on their own so that they can one day teach their own cubs how to hunt. The atmosphere becomes a lot more optimistic after the near kill. Since these two lions are still new to hunting and never killed any big game, the guides are absolutely thrilled that they have come so close. 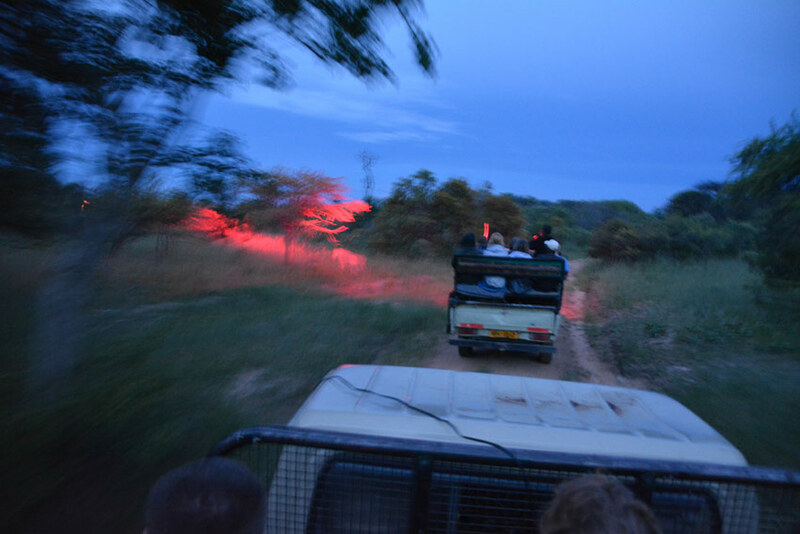 Nightfall comes, and we begin using both the red light and bright flashlights, hoping to spot the glowing eyes of wildebeest in the darkness. After about an hour, we begin feeling a little discouraged. There is no guarantee of anything happening on this night. This isn’t a tourist attraction that guarantees a lion will kill a wildebeest every hour, on the hour. This ain’t no Disney Animal Kingdom! Finally, we notice the lions have picked up a scent and we soon find ourselves peering up a hill, 100 meters in front up us, staring at a group of 20+ wildebeest. We turn the trucks off and we wait to see whether the lions will attack. The wait seems like forever. We sit here for what seems like over an hour (in reality it was probably more like 30 minutes). However, it is long enough for the guides to consider the possibility that the lions will not go after the wildebeest. But then, EXCITEMENT! We notice a big commotion in the red spotlight, and we know immediately that one of the lions has made an attempt to bring a wildebeest down. In fact, even before the engines can start up again, we can hear the cries of a wildebeest in agony. The trucks speed forward up the hill and the drivers begin encouraging us to use our lights and camera flashes in order to see what is happening. Once the kill looks successful, we no longer need to stay quiet and keep lights off. As we reach the lions, the scene is incredible. The lioness has the wildebeest in a death grip, biting the wildebeest in the neck, hanging off of it waiting for it to fall. 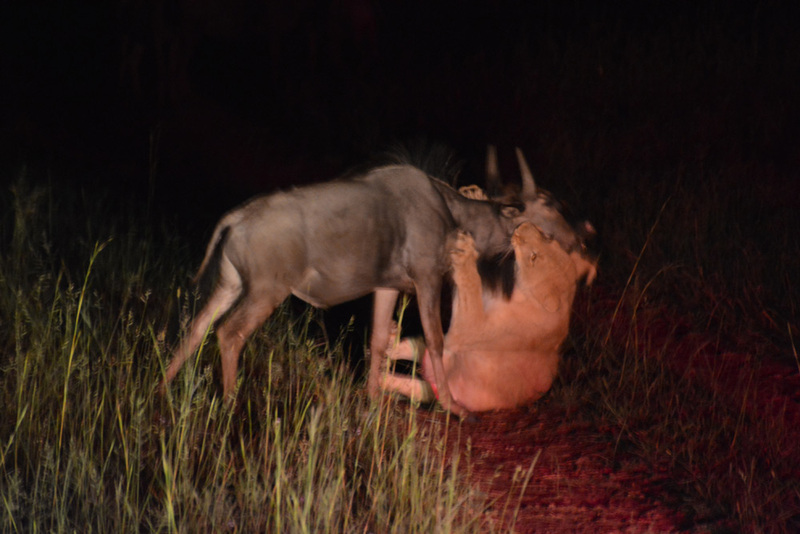 While she is hanging on, another wildebeest attempts a rescue and rushes at the lion, hoping she’ll let go. The attempt fails, and the lion brings the wildebeest to the ground. Within just a couple of minutes, the wildebeest is dead. It takes a while for the adrenaline to wear off and to realize what we have just witnessed. The action in front of us calms down quickly once the wildebeest is dead. The lions just lick the skin and wrestle the carcass around for about 30 minutes before attempting to break the skin and begin the feast. Below is a video of the kill and the lions eating. I haven’t had time to edit them yet, but I will post that video once it’s done. WARNING: The video below is graphic. Do not watch if you can’t handle watching an animal be attacked, killed, and eaten. Seriously. One thing I notice is just how excited the guides of the park are. There are eight of them and each is ecstatic to have seen these two lions make their first kill. Two lions that they have watched grow up over the last 2 and a half years. 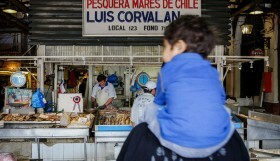 It is just another of the many signs that this ground-breaking program can work and is working. These two specific lions will never be able to be released into the wild, but now that they have proven they can hunt, they will hopefully raise their own cubs, and teach them to hunt with no human contact. Those are the cubs that would then be able to be released into the African wild. 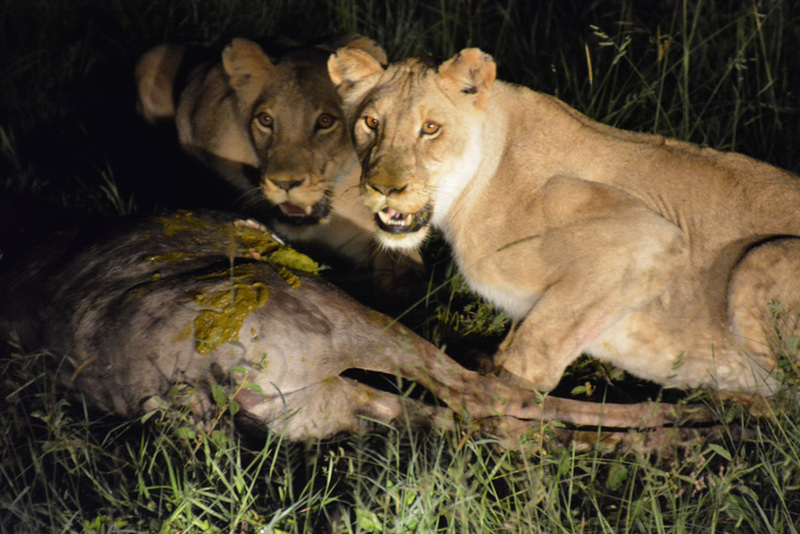 When the lions made the kill, it was around 7:30pm. I haven’t had anything to eat since noon, but when the lions begin eating the wildebeest I soon forget how hungry I was. It isn’t a pleasant site. Incredible and amazing, yes. Still ridiculously gross. It isn’t like watching Simba eat a nice piece of red meat from the butcher shop. First, the lions rip open the stomachs and slurp the intestines out like spaghetti. It reminds us of the Lady and the Tramp scene. I apologize for how gross this is, but it is just reality. As they get to the end of the intestines, wildebeest waste starts to appear all over both the carcass and the lions faces. After 30 minutes, we are all glad we’ve seen it, but we are also ready to head back to the park campsite. Before we leave the scene, another pick-up truck arrives. After the lions get their fill, the rest of the carcass will then be utilized and fed to the other lions, including the younger cubs also in stage one. 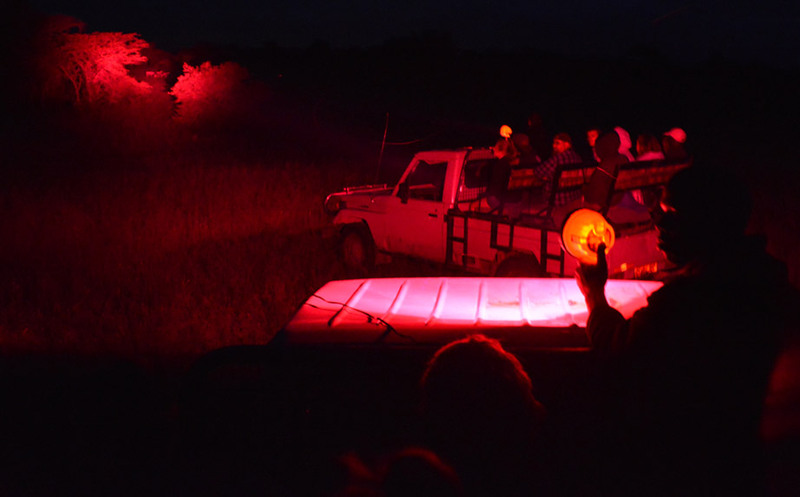 The excitement of the kill makes it back to the campsite, and everyone at Antelope Park spends the night celebrating and sharing the success of the the two lions hunt.